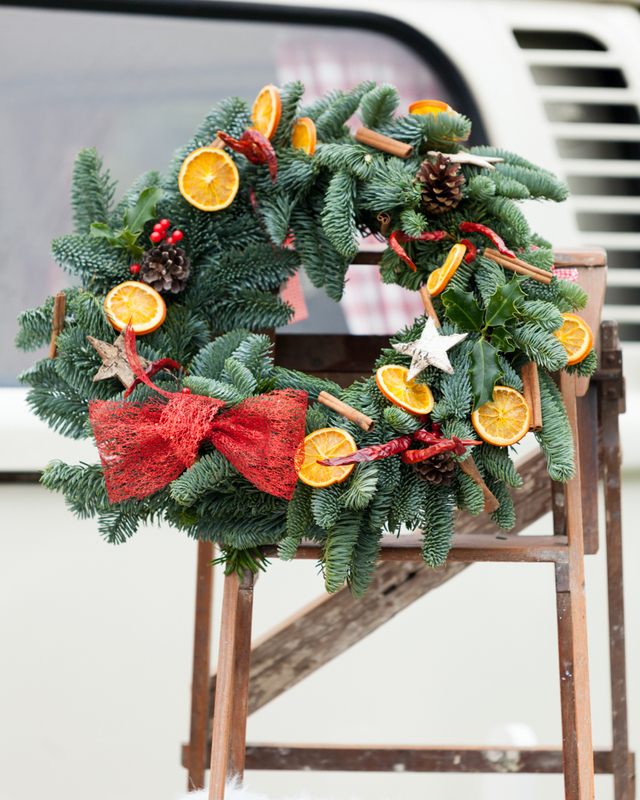 Today I am delighted to spotlight on a festive spin to capturing your memories in a Christmas photobooth styled shoot from Buttercup Bus VW Campers. The festive period is in full swing… I even tried my first mint hot chocolate at my local coffee shop this week – a sure sign that Christmas is on its way! 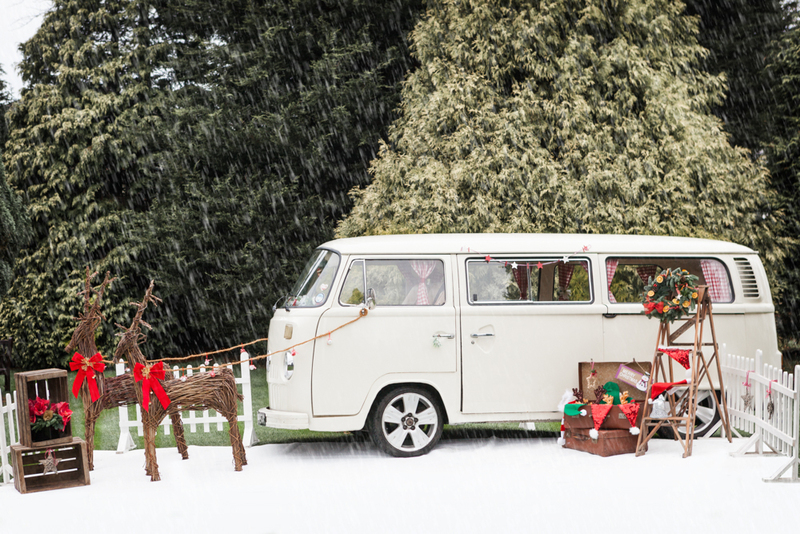 At Buttercup Bus VW Campers, we are getting rather excited, because at this time of year we can get out our festive box of toys to adorn our campervan photobooths… and we don’t do things by halves! 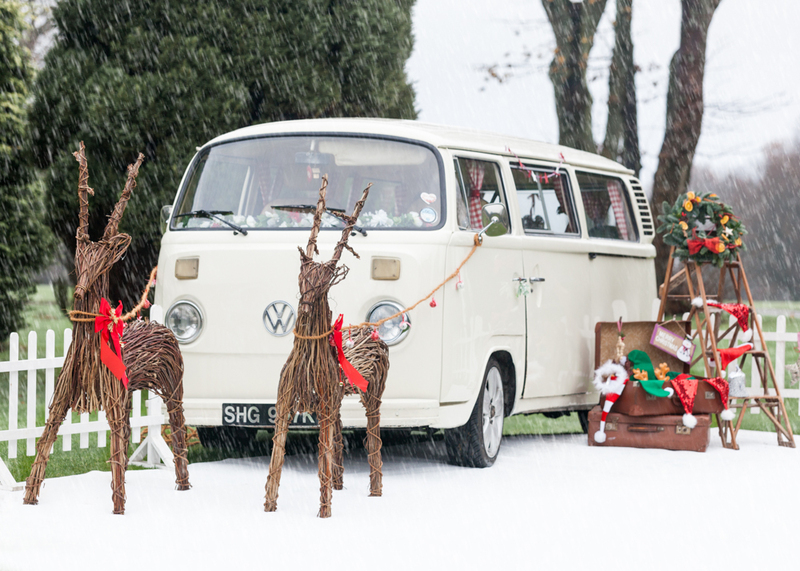 Think of a white, retro campervan, pulled by two giant wicker reindeer…. 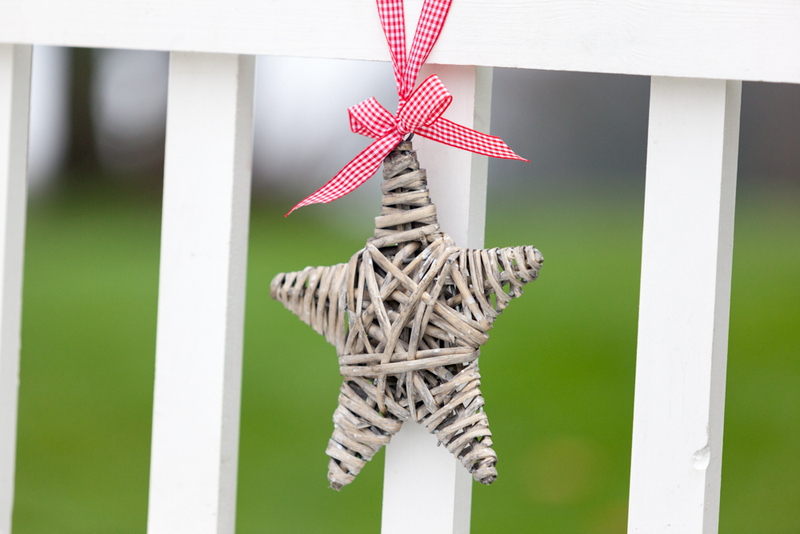 Now add some white picket fencing, pine tree décor, red ribbons, wooden stars and mistletoe and you have a lovely setting! However, with the British weather being somewhat unpredictable, there is no guarantee of that final magic element… the snow! We have worked around this by adding our very own snow carpet… so that rain or shine, our “SantaVan” is presented with the full festive effect! 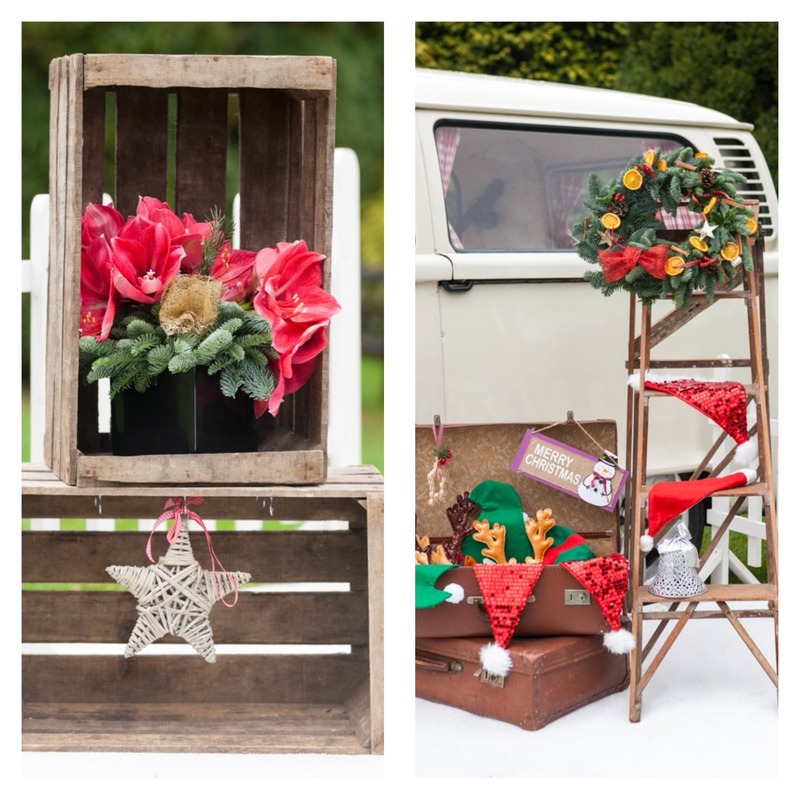 The campervan photobooth comes with all the features you would expect from a photobooth but we add a vintage, festive, VW twist to make it truly unique. 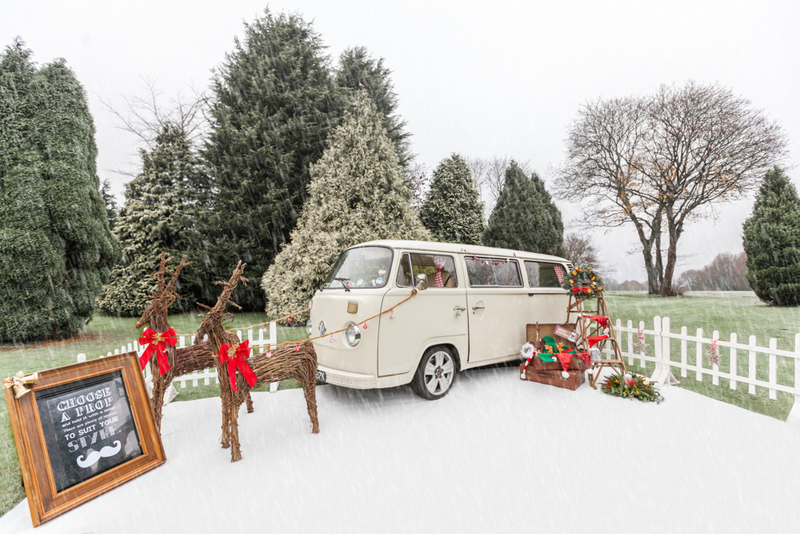 The photobooth is set up inside the campervan and comes with a greenscreen backdrop, so that users can use the 22” touchscreen to select their preferred Christmas themed backdrop – from penguins to Christmas cookies, snowflakes to snowmen!! 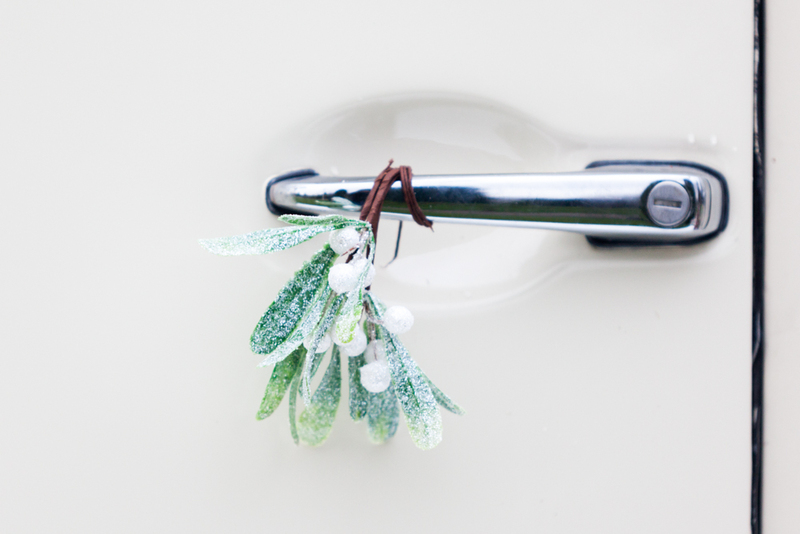 The “SantaVan” concept was difficult to present to people as was hard to imagine in all its festive glory… so we teamed up with the amazing Stonelock photography and set up a photoshoot. The location for the shoot needed to have lots of pretty open space, and ideally some pine trees to add that seasonal vibe. This is where Kingswood Golf Club wedding venue came in. They are based fairly local to us in Surrey, and we are pleased to be on their wedding suppliers list. They were only too happy to help out by providing access to their beautiful grounds for the shoot. 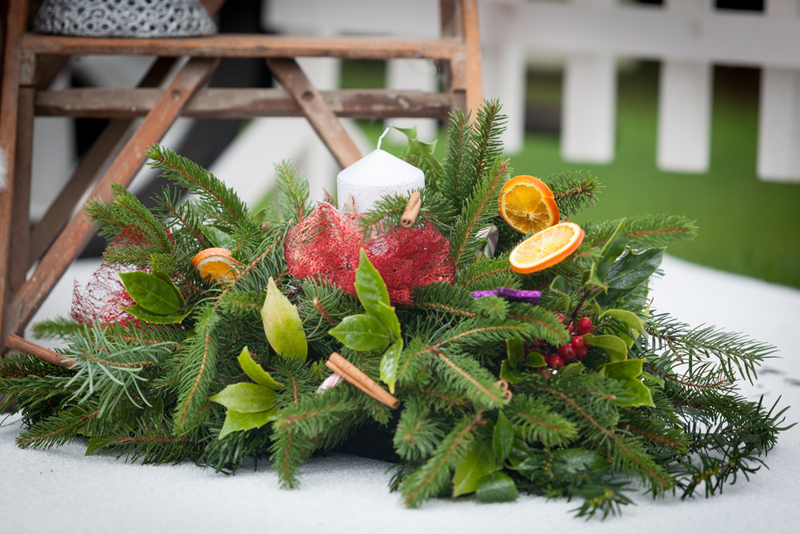 To really make the pictures pop, we also collaborated with “Flowers by Liz” to provide a Christmas wreath and stunning pine floral features – all presented using vintage wooden crates and step ladders supplied by fellow Surrey wedding supplier “A Vintage Affair”. 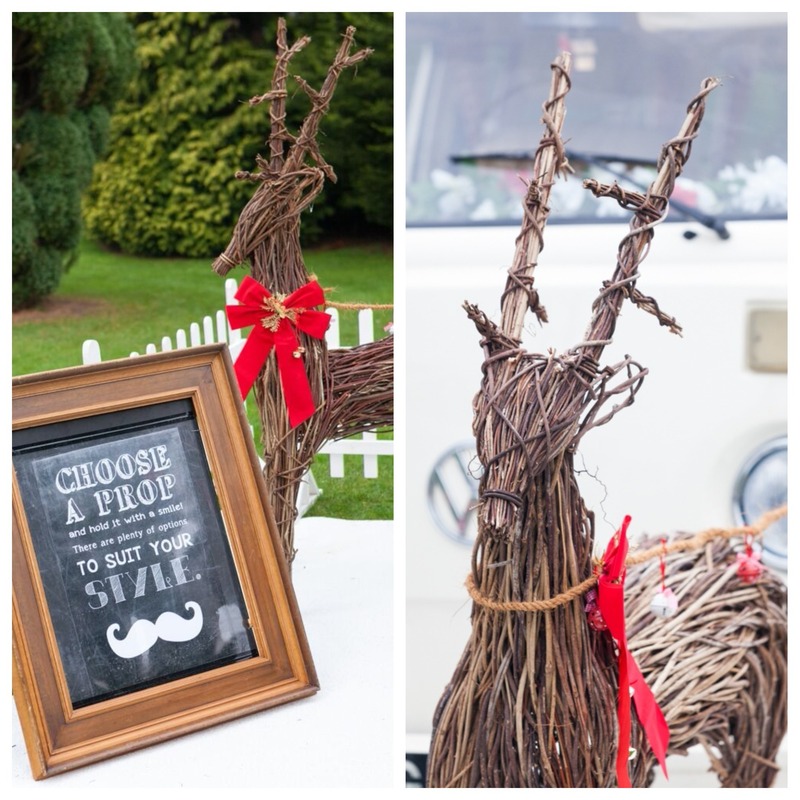 Ally at Stonelock Photography did an amazing job with the resulting pictures – and the shoot was such fun, with giggles as we wrestled to unpack the reindeer from the campervan! Buttercup Bus VW Campers have a fleet of 6 vintage VW Campers and a cream, retro beetle for wedding transport and campervan photobooth services within 40 miles of Croydon. They operate across the Surrey, London, Kent and Sussex borders. If you are looking for an outdoor photobooth, themed for your event then they would love to hear from you, to see how their campervans can add a unique, fun themed element to your special day!